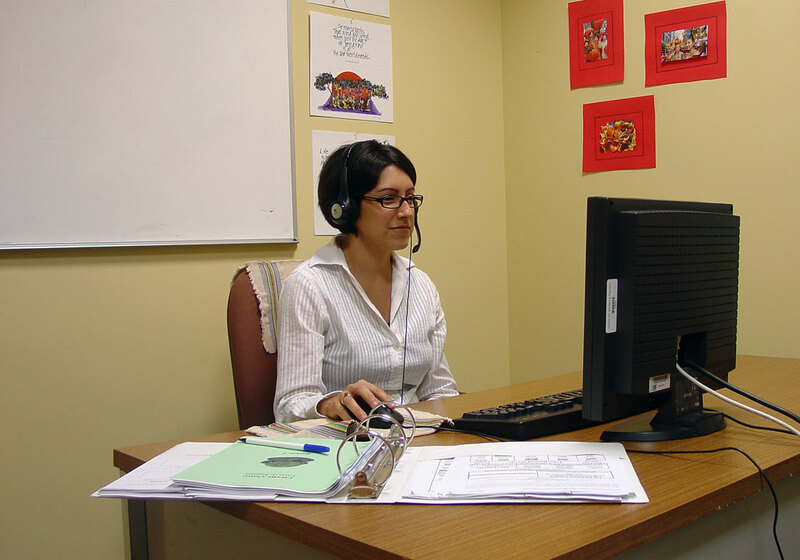 We currently have 7 people using the language lab at CWF. We used the funds we were given to purchase Rosetta Stone software and headsets so Spanish speaking clients who are unable to access ESL classes in the community due to scheduling, transportation, or safety can continue to work on their English. Our clients have found the space and program “user-friendly and non-intimidating”. We have one transitional client who is using it with her son. One client commented, “This is wonderful. I am not able to attend ESL classes offered in the community due to having to work long hours. I can come here after work and work at my own pace on my own schedule. Learning English is very important. Thank you for offering this program.